Fashion month is over, and I'm calling the 'It' shoe of the season. A cold-weather continuation of spring's knee-high gladiator, the stretchy over-the-knee boot is the clear frontrunner for fall. 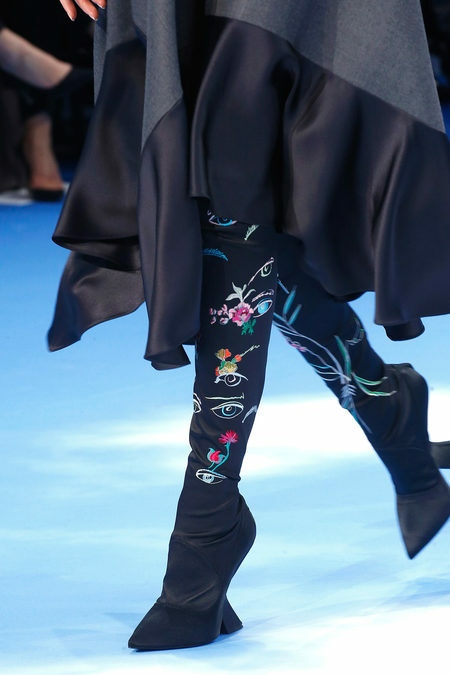 My personal favorites were from New York and Paris, and I am betting some serious money that the embroidered Dior boot will go down in history as one of the all-time greats.